Laser toners and ink cartridges contains products of the highest-quality that meet or exceed the original manufacturer standards. These parts are manufactured brand-new and contain new components, which allows them to operate with the same excellent quality and utilization as the original manufacturer’s printer ink or toner. These compatible toner and ink cartridges are an inexpensive alternative to the original manufacturer’s ink cartridges or toners. We stand behind our products and offer a full 60 Day 100% Satisfaction Guarantee on all our cartridges. 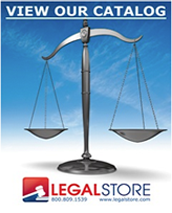 Copyright © 2015 Legalstore Inc.